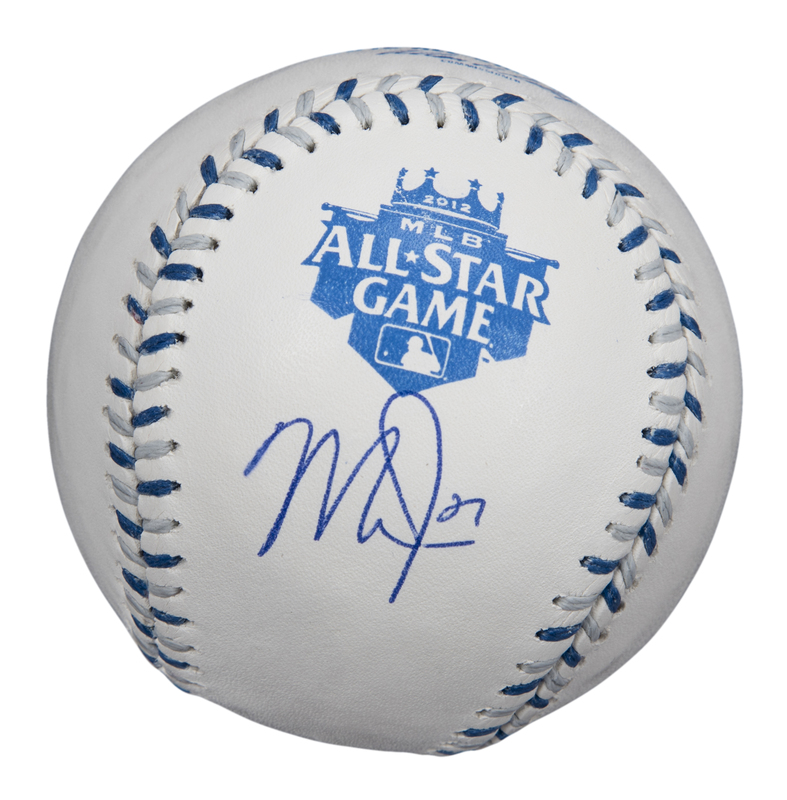 Two-time American League Most Valuable Player Mike Trout has signed this Official 2012 MLB All-Star Game Allan H. Selig baseball. Trout, the consensus best player in baseball, has turned out for the Los Angeles Angels since 2011. Trout made his first All-Star team in 2012 while also winning the AL Rookie of the Year award and leading baseball in steals (49) and runs (129). Trout finished second in the American League MVP voting in 2012 before winning the award in 2014 and 2016. 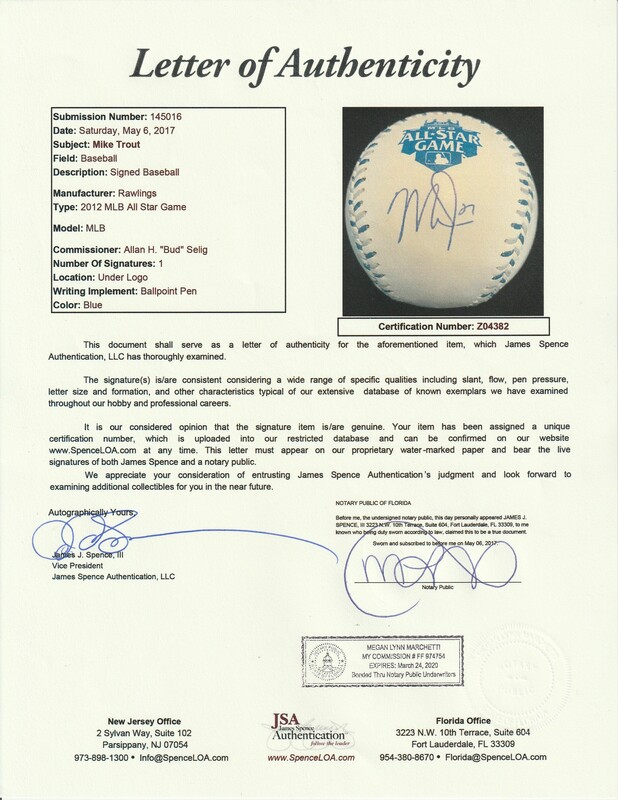 Trout has signed the west panel of this baseball in blue pen. 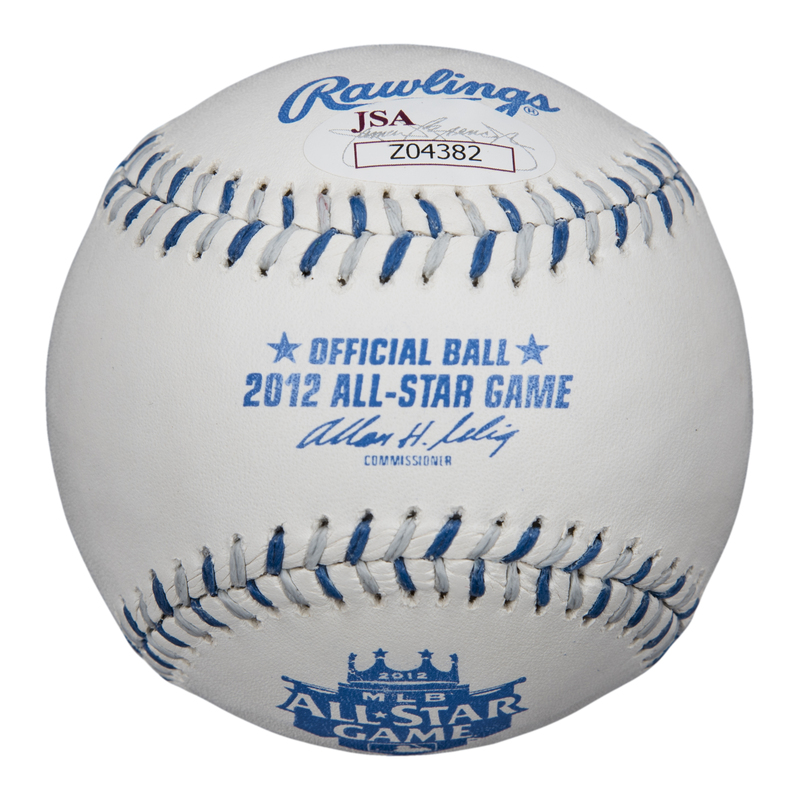 This ball comes with a LOA from JSA (Z04382).